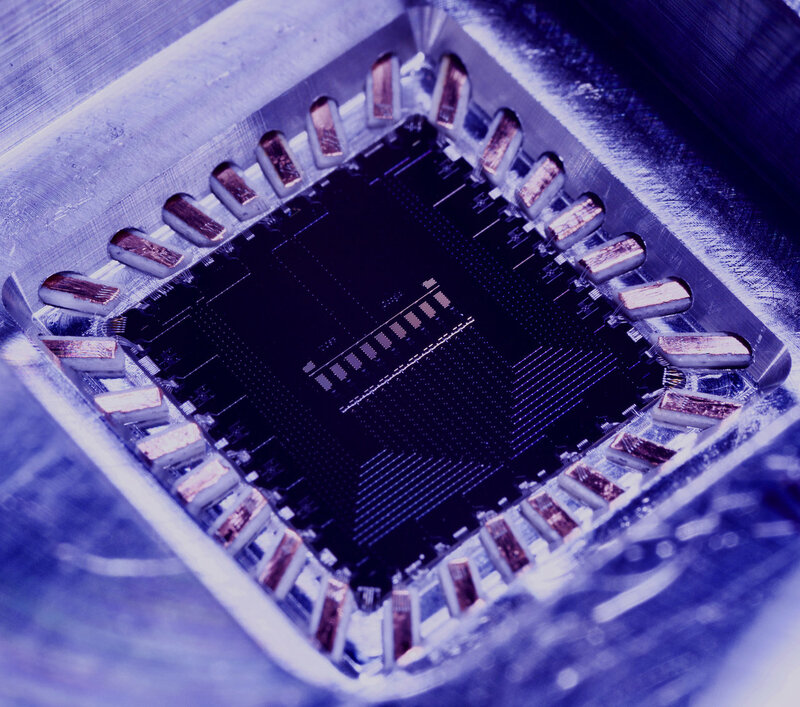 Quantum simulators, which are special-purpose quantum computers, will help researchers identify materials with new and useful properties. This attractive future has just taken a step forward thanks to the collaboration between Google and researchers from the universities of California, Singapore and Greece. The international team used photons in Google's quantum chip to simulate the surprising and beautiful pattern of the "Hofstadter butterfly", a fractal structure that characterizes the behavior of electrons in strong magnetic fields. 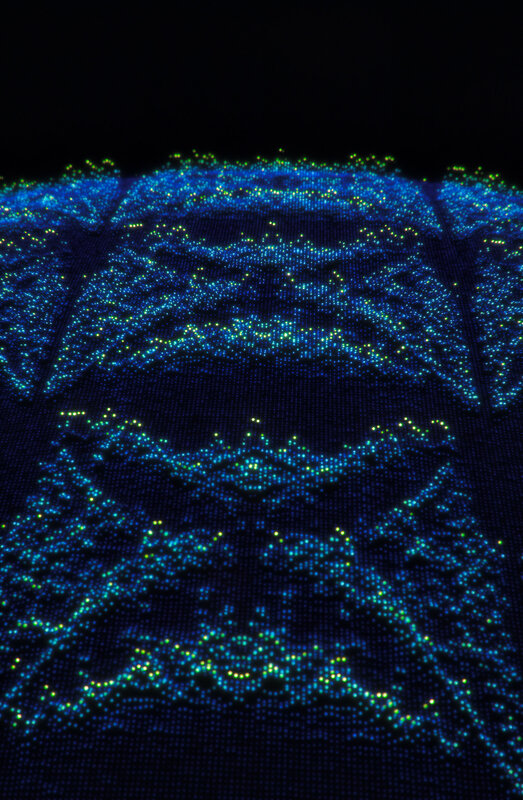 The results, published on December 1 in Science show how quantum simulators are beginning to deliver on their promise as powerful tools. "We have always had the idea that we can use photons to simulate and" Our collaboration puts it into practice, "says Dimitris Angelakis at the Center for Quantum Technologies at the National University of Singapore. 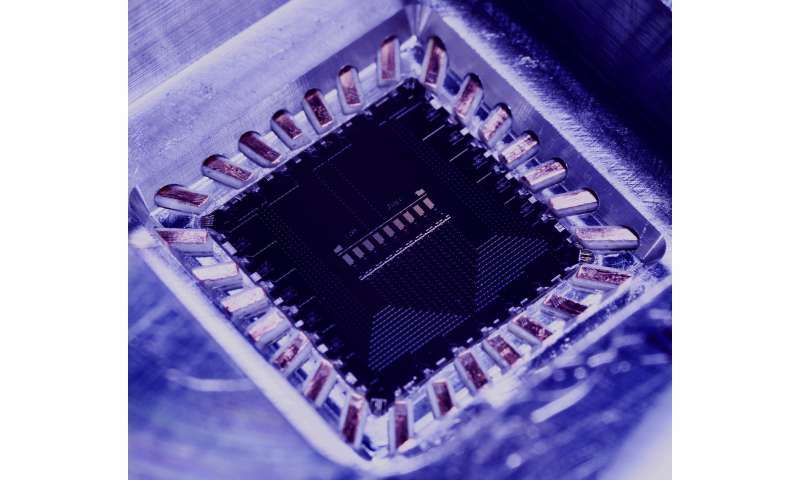 The feat was performed in The Google chain of nine quantum superconducting bits (qubits) by collaborators from Google and the University of California Santa Barbara in the United States, the National University of Singapore and the Technical University of Crete, Greece, shows how a quantum simulator can reproduce all kinds of exotic complex quantum behavior This will allow researchers to simulate (and thus design) materials with exotic electronic driving properties, potentially opening up a range of new applications. "With chips similar to the one used in this experiment, we are interested in studying the problems at the core of condensed matter, statistical mechanics and non-equilibrium dynamics," says Pedram Roushan of Google, an electronics engineer quantum  The Hofstadter butterfly appeared for the first time in 1976, in electron calculations in a two-dimensional material in a strong magnetic field. The butterfly maps divisions and changes in the energy levels of the electron with changes in field strength. In this quantum simulation, the photons took the role of the electrons while the gates in the qubits provided an analogue of the magnetic field. 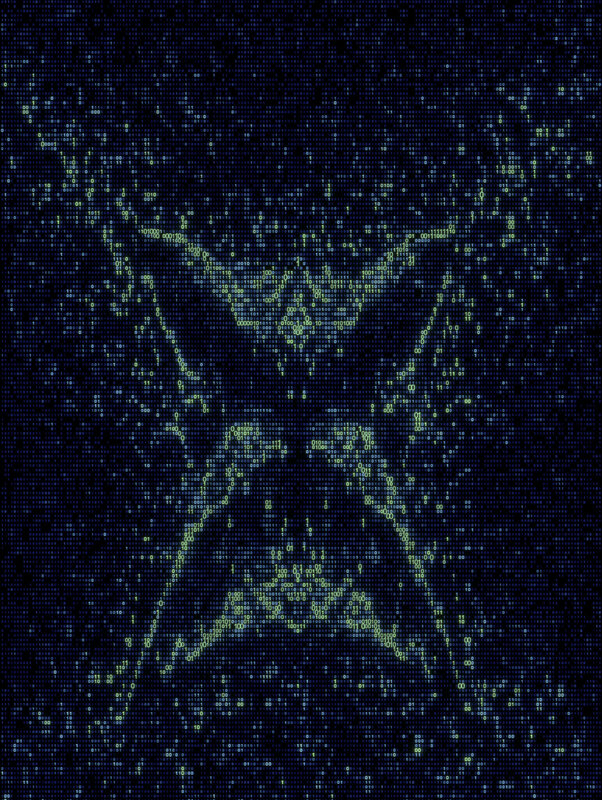 The butterfly pattern emerged from the measurements of the equipment. The experiment was based on the invention of the equipment of a new technique of spectroscopy that they call "hit and listen". The technique maps the energy levels of the light particles, microwave photons, stored in the nine qubits. "Our method is like ringing a bell, the sound it produces is a superposition of all the basic harmonics, hitting it in different positions a few times and listening to the melody long enough, one can solve the hidden harmonics. same with the quantum chip, hitting it with photons and then following its evolution in time ", explains Angelakis. 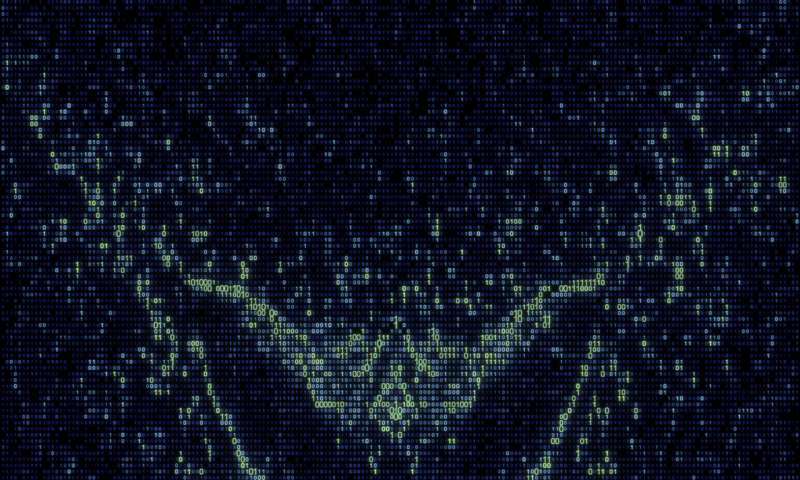 The team saw the butterfly beating the qubits with one photon at a time. 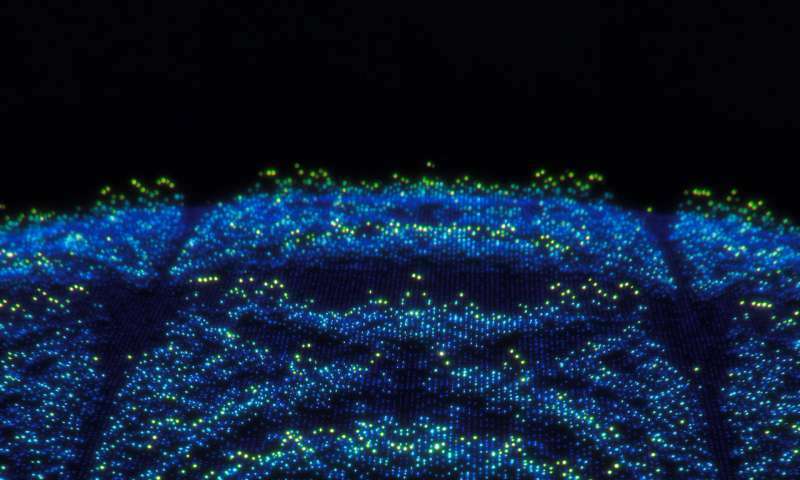 The team also struck the qubits with two photons simultaneously, and turned the qubits into disordered ones, programming a certain randomness in their properties, to study the complex phenomenon known as "localization of many bodies". This is a quantum phase transition, similar to the phase change that occurs when the water freezes in the ice, which determines whether the materials are conductive or insulating. The team found precursors of the location of many bodies by applying their "listening and listening" technique to different disorder and interaction regimes. Facing this type of phenomena can provide another route to design new useful materials with exotic driving properties. However, physicists in general struggle to simulate such complex scenarios. It was predicted in the 1950s that disorder in a material could block the movement of electrons through it. That is called location. But if the particles can interact with each other, the problem becomes "many bodies" and much more difficult to model. For only two photons in nine qubits, the team was able to simulate in conventional computers what behavior to expect, finding good agreement with their experimental results. But add only a few more qubits and the problem becomes intractable for classic machines. That makes the prospect of larger quantum simulators tempting for scientists: they could address problems beyond the reach of today's supercomputers. "Understanding quantum phases is still one of the unsolved mysteries of physics," says Roushan.